This stone is erected by DAVID LOGAN farmer in Laig Dalduff in memory of his two daughters viz. 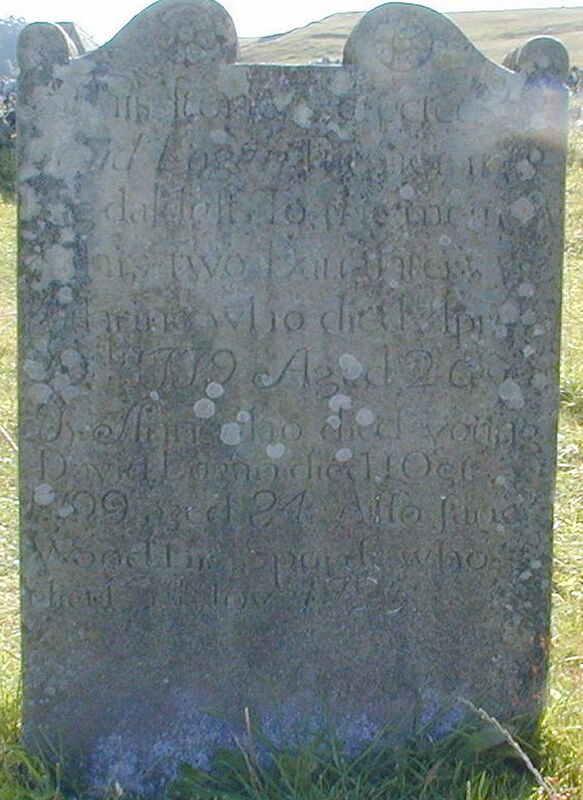 KATHERINE who died April 29th 1779 aged 26 & ANN who died young. 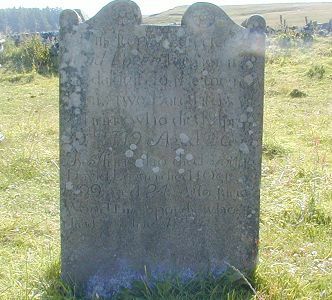 DAVID LOGAN died 1 October 1799 aged 84. JANE WOOD his spouse died 3 November 1795. 2 i. Katherine LOGAN was baptized on December 12, 1751 in Parish of Ayr, Ayrshire. 2 She died on April 29, 1779. She was buried in Kirkbride Churchyard #21. 3 ii. Anne LOGAN died YOUNG. She was buried in Kirkbride Churchyard #21. 4. John LOGAN (David-1) was baptized on November 10, 1754 in Parish of Ayr, Ayrshire. 4 He died on October 6, 1824. He was a Farmer, Largs. He was buried in Kirkbride Churchyard #21. 6 i. Jean LOGAN was born about 1796. She died in October 1817. She was buried in Kirkbride Churchyard #21.